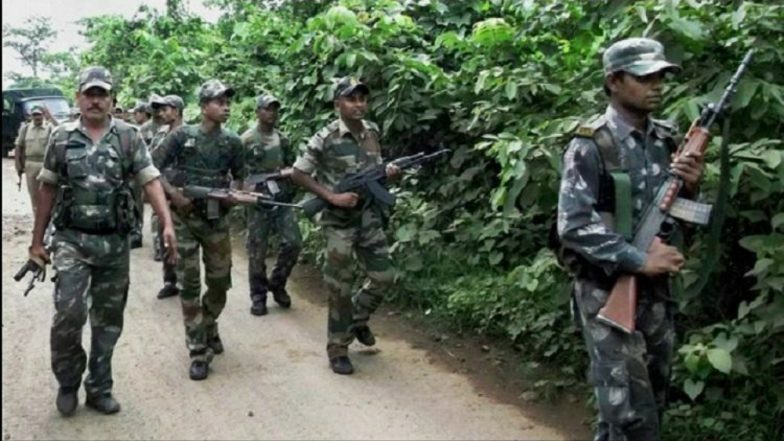 Ranchi, April 15: Security forces gunned down three Naxals in an encounter that took place in Jharkhand's Giridih district on Monday and recovered a huge cache of arms and ammunition. A Central Reserve Police Force personnel also lost his life in the encounter. According to initial reports, the encounter started when troops of the 7th battalion of the CRPF was carrying out special operations in forest area in Belbha Ghat. Three bodies of Maoists along with an AK-47 Rifle, three bullet magazines and four pipe bombs have been recovered from the encounter site till now, the officials said. Maoists Attack in Gadchiroli: Naxals Trigger IED Blast A Day Before Polling, CRPF Personnel Injured. Security forces are looking for more recoveries and a search is being conducted in the encounter area, they said. Jharkhand will go to polls in the final four phases of the seven-phase Lok Sabha elections.